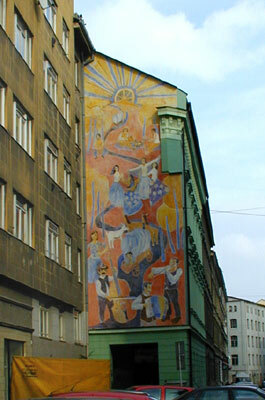 If you go to Bratislavska Street, just outside the old centre of Brno, you'll find a museum that is unique of its kind in the Czech Republic. Amid the crumbling tenement blocks of one of Brno's most neglected inner-city districts, the Museum of Romani Culture, at number 67, is a den of activity. The museum's aim is to map the fascinating, sometimes tragic and often misunderstood history of the Romany minority here in the Czech Lands. 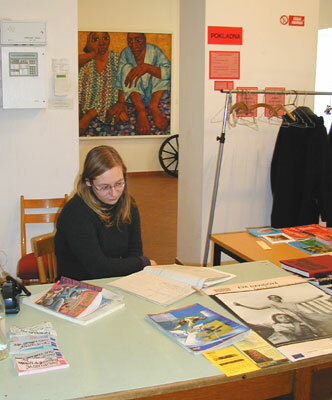 The museum director, Jana Horvathova, is from a Czech Romany family that had been settled for many generations in the countryside of Moravia; but like 90 percent of Czech Roma, the family was virtually wiped out during the Holocaust and today Jana is among only very few Roma with family roots in this country. Most of the two or three hundred thousand Roma in the Czech Republic today have their roots in Slovakia. 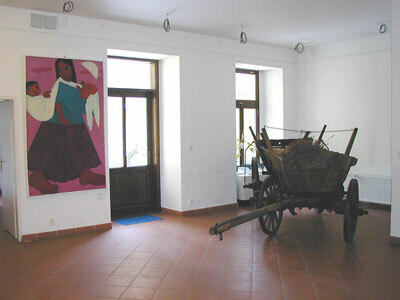 The museum is devoted to the history and culture of Czech Roma wherever they or their parents may have come from. "The museum was founded at the beginning of the 1990s, but it wasn't a new idea. Back in the sixties, with the reforms and the Prague Spring, Roma first had the opportunity to take their fate into their own hands. That's when the first Roma organization 'The Association of Gypsies-Romanies' was founded. They tried to set up a Roma museum, and began collecting artifacts. 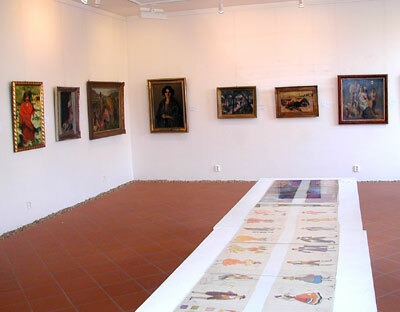 But after the Soviet invasion of 68 the association was banned, and the collections were sent to other museums. It was only after the revolution that a small group of Roma intellectuals came together and rose to the challenge." The museum's early days were difficult - initially it was based in just one small office, and it was only four years ago that it was able to move into the more spacious building in Bratislavska Street, owned by the local council. To this day the museum lacks the resources to put its ever growing collections on permanent display, and its future is still not assured. But the uncertainty has not deterred its highly committed staff. "My name is Zdenka Machalkova and I work in the Museum of Romani Culture as an ethnologist and curator of the photo-archive." Tell me about the things that go on here in the museum. "Our big aim is to prepare a permanent exhibit; that means an exhibit about the history of Roma, the culture of Roma, from the far past in India and about the way they came to Europe, then about travelling and how they settled down in villages and towns. A special part is devoted to the Holocaust, which is a very sad theme, and then to the history after the Second World War until 1989." Currently this permanent exhibition doesn't yet exist, but what sort of things are you putting together to make up the exhibition? "From the year 1991, from the start of the Museum of Romani Culture, we have made a lot of research in villages, among Roma people. 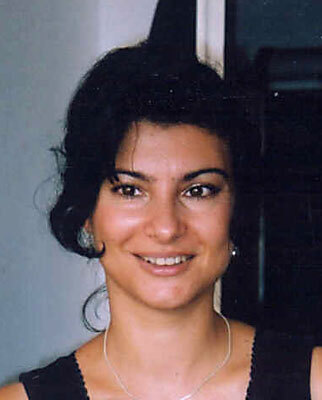 We have made a special archive of Roma art, or Roma music." "For the last two years we've employed a musicologist at the museum, a specialist, who curates our collection of recordings. In December we released our first CD, with recordings from the field made mostly by my colleague Dr Eva Davidova back in the 50s and 60s, and we're in the process of making further recordings. We use oral history as one of our main sources, recording people's memories - at the moment focusing on the Second World War. Oral history is today a respected historical source and for us it's particularly important. There are very few written sources about Roma, and they always reflect the viewpoint from the outside." "Right now we have an exhibition which is called 'Roma people in professional art from the 17th century until now', this year we will have three different temporary exhibitions. We have a library, where people can study. 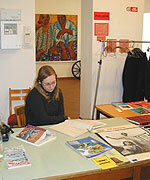 We have more than 8000 books with a Roma theme. And we also run a special club for Roma children from the street." That's interesting, because the museum here in Bratislavska Street is in an area that is lived in mainly by Roma, isn't it? "Yes, it's true. This part of Brno was settled by Roma people after 1950." You mentioned the children - that you invite the children into the museum. Do their parents show any interest as well in the museum? "It's a big problem in fact, because Roma people from this area don't visit or pay attention to the museum very much." Is that because most of the adults here have little education and are socially very deprived, and simply don't have access to this sort of thing? "This is an area where people with social problems live, and they don't have time and interest." I've read on a number of occasions that the museum has financial difficulties, that you're having great difficulty to keep going, to find the money to develop the exhibitions and get the permanent exhibition on show. What's the situation at the moment? "It's still the same. Nothing has changed yet. The problem is that we are a non-governmental and non-profit organization, and our only source of money are grants, special projects and so on. We are not able to live from this money. So now we try to get under the state. We want to get state support, because I think the state should support us, because we do useful and important work." And if that happens, you will become a state museum? If, as is widely expected, the government does give the go-ahead for the museum to come into state hands, it will guarantee a steady flow of income. 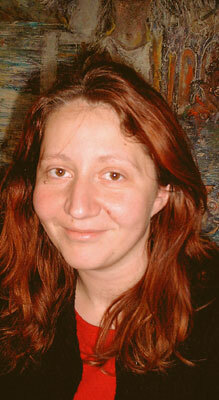 In the meantime, Jana Horvathova warns, the Museum of Romani Culture will continue to struggle. "A realistic estimate of when we'll become a state institution is from 2005, so the rest of this year will be very tough for us. We don't yet know how we're going to pay the staff's salaries until the end of the year. But these are problems that we'll just have to overcome."